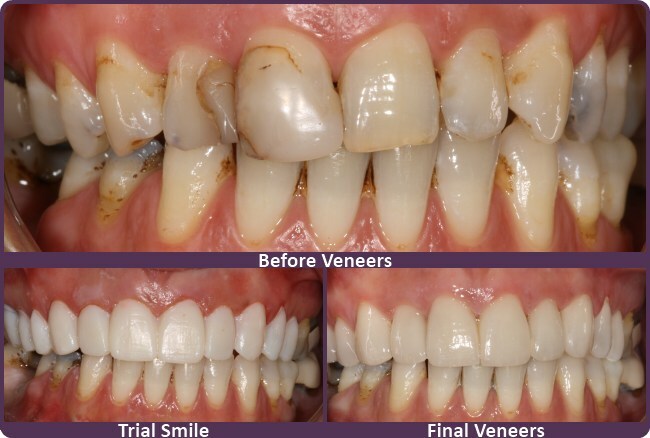 Dental veneers are a perfect treatment for creating your dream smile. Not only will they give you fantastic results, but it is a very interactive experience that really lets you choose your dream smile! We will take impressions of your teeth which will be used to make a diagnostic wax up of how your teeth could potentially look like. The wax model will act as a discussion point for you to say to our cosmetic dentist what you like about the model and what you would like to see for your smile. Once the patient is happy with the wax model we will make a trial smile which will act as temporary veneers so the patient can really see what the end result could potentially look like. 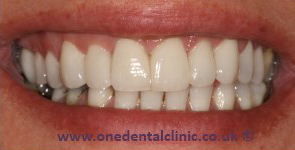 Anything that the patient would like to be changed before the final veneers are made can easily be arranged!. Once the patient is happy with their trial smile and all the alterations (if any) have been made to the trial veneers, the patient can wear the temporary trial veneers as a prototype to give them a test run in their home, social and work life. 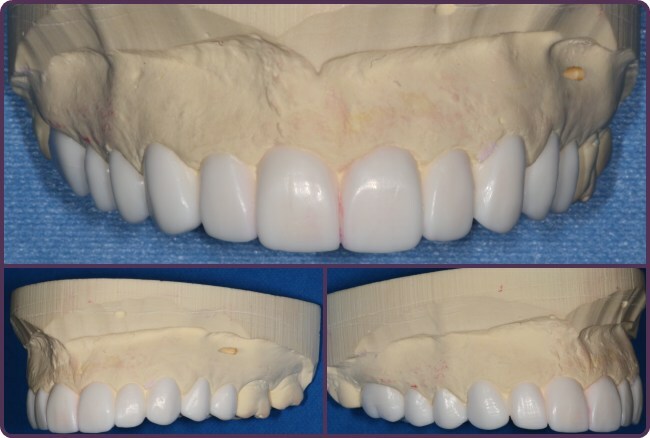 This prototype phase allows the patient sufficient time to trial the veneers before they are permanently bonded to the surfaces of their teeth. This lady was unhappy with the colour and shape of her teeth. 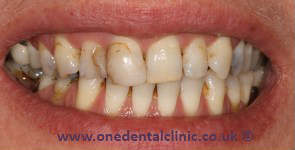 Ten veneers and one crown were fitted to improve the smile as well as teeth whitening on the lower teeth. She was delighted with the result achieved.